Gardening tip: using a mailbox for your garden tools has been a practice of mine even before I knew what Pinterest was. It all started out of necessity because I had no shed or place to put garden tools. At the time about 9 years ago I decided to use a mailbox the neighbor was throwing away (after replacing their mailbox with a brand new one). I did not mount it on a post or bench but sat it on a stump in the back yard of our previous home. Fast forward to today and I have 2 mailboxes for my gardening tools, tags, and stuff. One mailbox has been attached to my garden bench for 3 years now (before it just sat underneath the garden bench or on a concrete block) and the other one is mounted on a post for a few years now. Yes I have 2 mailboxes because I find it easier to have one in my potting area and one by the entrance to my back yard. 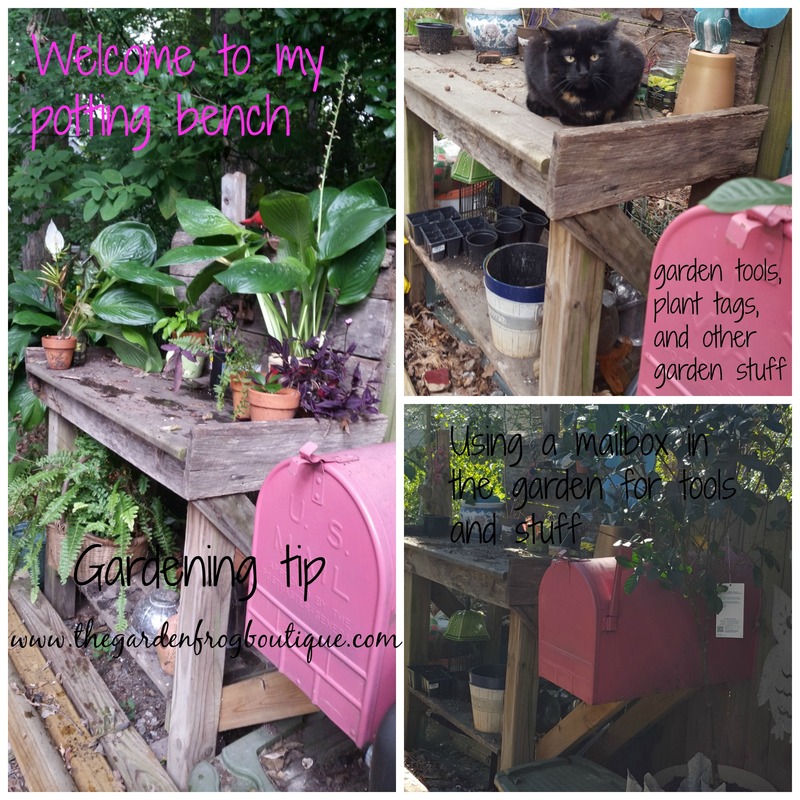 Each mailbox holds different ‘stuff’ and the mailbox attached to my potting bench holds plant tags, cable ties, and my dirt scoop (which I use a lot) back in my potting area. The other mailbox usually holds my trowel and pruners and miscellaneous things that I use frequently. Truth be told I also get lazy and do not always want to walk back to the potting area. Large mailboxes work great because they hold lots of garden tools and items but smaller mailboxes work great too. Even if you have a shed, using a mailbox to hold the small tools will help you stay organized and you can place the mailbox in a spot to be ‘cute’ and whimsical. Shoot, I paint my mailboxes every couple years when I get tired of them! Thinking outside the box gardening tip for garden storage using a mailbox for garden tools. Decorate it any way you want and your garden tools stay dry and out of the weather. Thanks for stopping by! I really like your post! 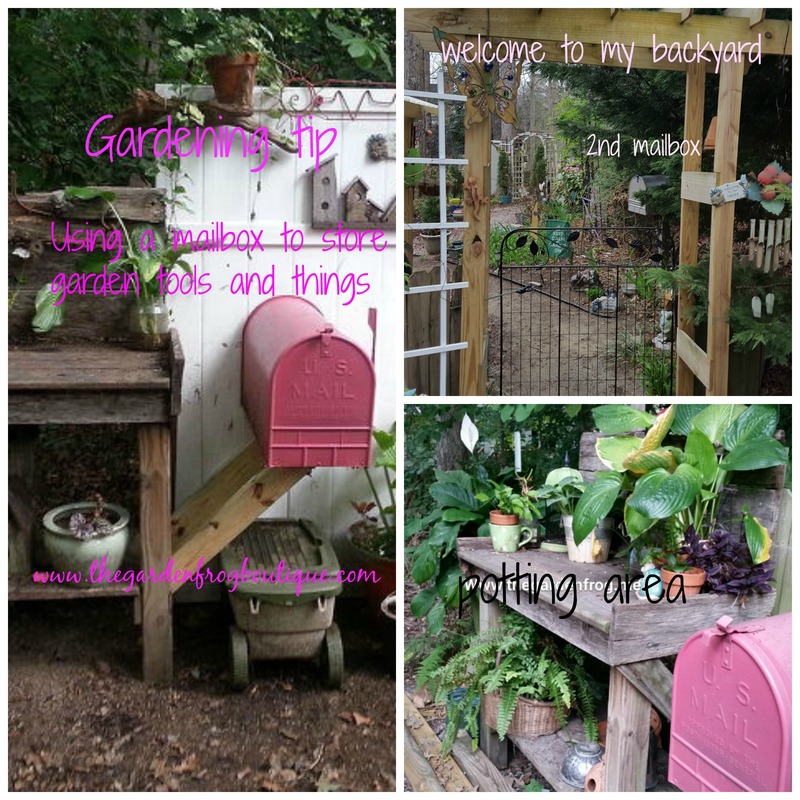 You have shared such an amazing post with the idea of having mail box in a garden. Also you have shared gardening tools which are appreciable.Keep sharing more posts.